Huawei Nova 2i Aurora Blue Limited Edition will be available in the Philippines this December 2! Home / huawei / mobile / news / Huawei Nova 2i Aurora Blue Limited Edition will be available in the Philippines this December 2! Huawei Mobile has just announced that the highly anticipated Aurora Blue color variant of the wildly popular Nova 2i will be available in the Philippines soon. 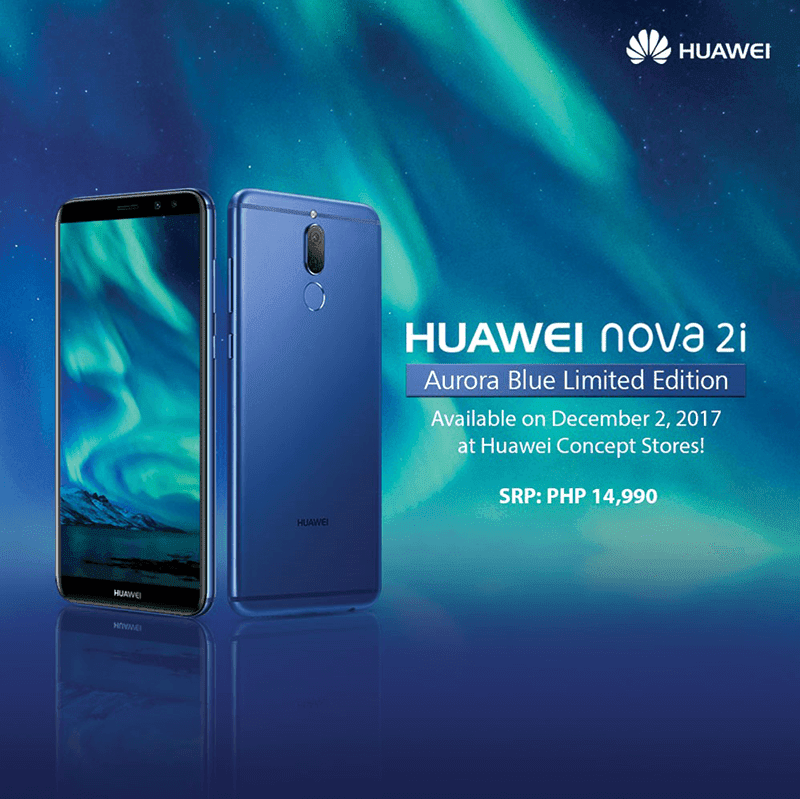 Starting December 2, 2017, those who are looking for the Nova 2i Aurora Blue Limited Edition may purchase it at Huawei Concept Stores nationwide. In case you missed it, the Nova 2i boasts a stylish metal clad body, 5.9-inch FHD+ 18:9 screen, 2.36GHz 64-bit Kirin 659 octa-core processor, 4GB RAM, 64GB expandable storage, 3,340mAh battery, and the quad camera setup for bokeh effects. The best part? The Huawei Nova 2i Aurora Blue Limited Edition is still priced at PHP 14,990! For the list of participating store, kindly check this link!